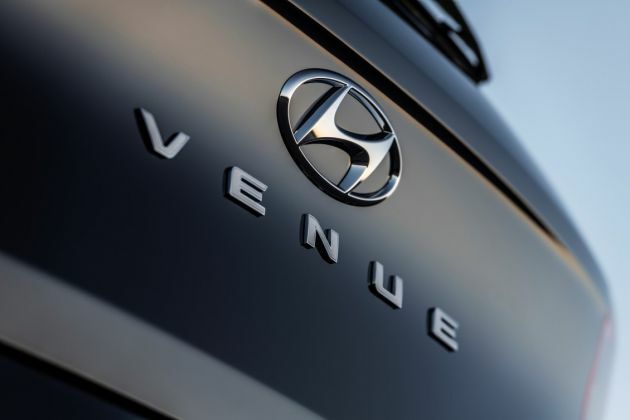 Hyundai has officially revealed the name of its all-new Crossover Utility Vehicle (CUV) – the Venue. The name signals a break in the automaker’s tradition of naming its SUVs after cities or places, such as the Tucson, Santa Fe and Palisade. In case you’re wondering why it’s called the Venue, well, Hyundai says the name references a place where people want to be seen, which in this case is inside the vehicle. The name symbolises a trendy, unique style, perfect for Hyundai’s newest and smallest CUV. Besides its name, which is spelled out under the Hyundai badge on the tailgate, nothing else about the car has been mentioned, save for the fact that it will slot under the Kona. Since it’s positioned as one of the trendier Hyundai SUVs, the global reveal will incorporate the use of augmented reality technology. In fact, the Venue will make its debut on April 17 at the New York Motor Show, If you’re interested to watch the live reveal, you may do so here. Be sure to tune in at 10.45 pm (local time), folks! Also, what do you think of the name Venue? The post Hyundai Venue – smallest SUV to debut on April 17 appeared first on Paul Tan's Automotive News. 0 Response to "Hyundai Venue – smallest SUV to debut on April 17"